Hidden amongst the 1950s gender politics and questionable facial hair of Robin Thicke’s now infamous Blurred Lines video is a lone, blindingly contemporary touch. The hashtag #THICKE appears emblazoned across the 1080p video field so frequently that the video’s few defenders have used its ubiquity as proof that the promo is some kind of post-modern state-of-the-nation satire. Whatever the real reason, there’s no question it’s a viable marketing technique. I still struggle to understand precisely how and why hashtags enhance — as opposed to complicate — an advertising campaign, but they must be doing something right because nowadays you’d be hard pushed to find a major studio tentpole release or a hastily compiled grime mixtape that doesn’t have one emblazoned across its marketing materials in 24pt font. Miley Cyrus doesn’t get out of bed for less than a global trending topic these days, while her erstwhile colleagues at the Disney Channel recently transferred their bizarre technological canine sitcom Dog with a Blog to France under the name #doggyblog. The resultant tweets have been a joy to follow. Ben Stiller’s upcoming adaptation of The Secret Life of Walter Mitty doesn’t go as far as putting a hashtag in its title (though it’s surely only a matter of time before the Academy has to decide whether the pound sign goes at the beginning or the end of the alphabet on their annual shortlist) but its marketing materials do seem to have social media on the brain. The decision to make every word but ‘Mitty’ almost imperceptibly small on the title treatment must surely be designed to ease the film’s entry into the Twittersphere. 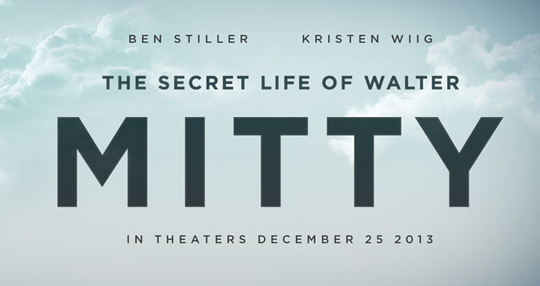 After all, The Secret Life of Walter Mitty uses up 31 characters before you’ve even had a chance to ‘at in’ Ben Stiller. If filmmakers continue to give their movies long, cumbersome titles and marketeers insist on boiling everything down to a single punchy buzzword, then somewhere along the line a compromise is in order. After all, you can’t have your silver linings and playbook them too. Or something. Really, it all comes down to accepting the consequences of your actions. If you’re going to name your film Harry Potter and the Deathly Hallows — Part 2 then at least have the courage to make people ask for that at the box office. #HP7 is for cowards.